Property Tips – Should you renovate before selling? You are here: Home / Tips / Property tips / Property Tips – Should you renovate before selling? Sometimes a good spring clean and a coat of paint is all a property needs to attract more buyers, writes Paul Bond. Once a decision has been made to put a property on the market, thoughts turn to how to get the best return on your investment. To renovate or not to renovate? This is the question vendors often ask, however the answer is not always straightforward. 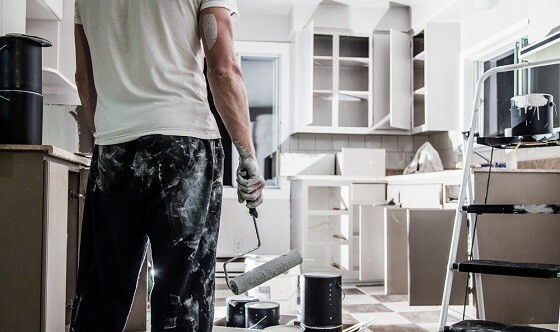 Pre-sale renovations generally increase the desirability and value of a property and are sometimes necessary to put a property on par with comparable properties on the market in the same area. If planning to spend the time and funds on a makeover though, it is crucial to research and plan in order to get it right. Ensuring any changes appeal to a large percentage of prospective buyers, in addition to meeting the needs of the property’s target market, will help to make any work done a valuable undertaking. Herewith, some fundamental (but often overlooked) rules to help vendors determine whether renovating prior to sale will be a profitable activity. 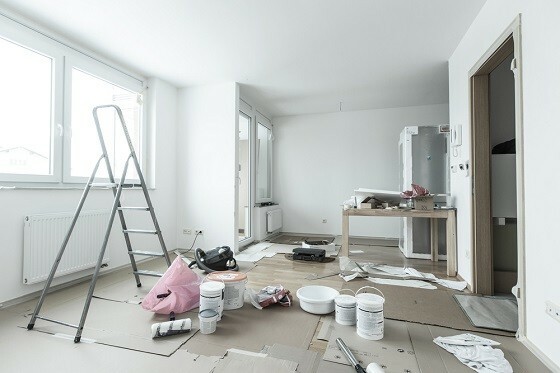 Don’t spend more than you can recuperate – Deciding whether or not to invest in renovations prior to putting your property on the market, and how much you should spend if you do, is a tricky decision. If you spend too little your efforts may look cheap and defeat the objective of renovating in the first place. Spend too much and you may not recuperate what you’ve invested come auction day. The general rule is, if you can make $3 for every $1 you spend it’s probably worthwhile. Kitchen and bathrooms are the place to spend money – Kitchens and bathrooms are two areas of a house that tend to have the largest impact on sale prices, so it can pay to update these rooms prior to sale. With this said, these types of renovations can be costly. At minimum, ensure both your bathroom and kitchen are in a functioning order and present well. Factor in market conditions – It’s important to select an agent who has experience not only selling in your area, but more importantly, in your suburb. A knowledgeable agent should be able to advise on comparable properties for sale in an area and indicate how worthwhile a renovation to your property would be. It makes good business sense to keep your property within an equivalent price range to others in the area, but with some stand out features. Street appeal – Front of house is important when it comes to real estate – spend time cleaning the windows, clearing gutters, painting where necessary and tending to the garden. These minor alterations can have a significant impact come auction day. Judge taste – If you chose to renovate, remember you are doing it to make the property more attractive. Therefore, in order to appeal to the masses it’s best to stick to neutral colour schemes and clean lines. This article was written by Paul Bond, Director of Hodges Real Estate in Melbourne, and originally published on realestateview.com.au.